Five-star wide receiver George Pickens has flipped his commitment from Auburn to Georgia on National Signing Day! Pickens (6-4, 190) had been committed to the Auburn Tigers since July 21, 2017. The Bulldogs offered Pickens a scholarship on Jan. 29, 2018, and Pickens later unofficially visited Athens and then made an official visit on Jan. 18, 2019. 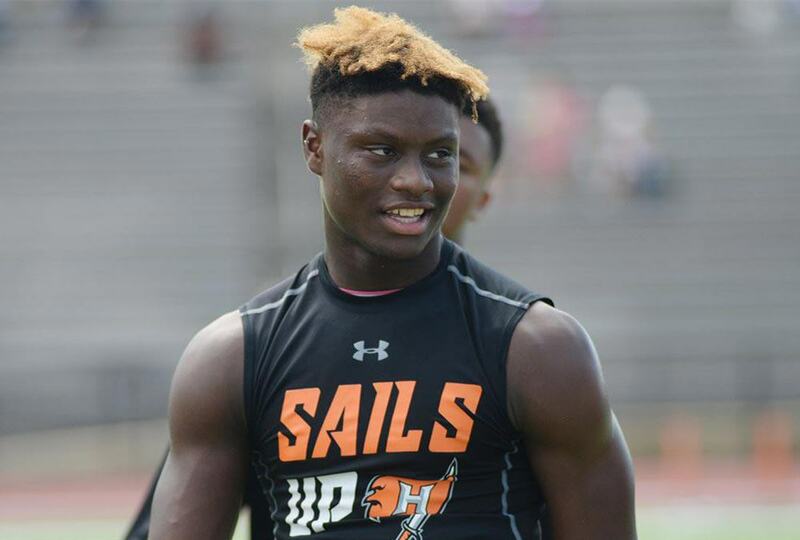 In the 247Sports Composite, George Pickens is listed as a five-star recruit, the No. 4 wide receiver, and the No. 24 overall recruit for the class of 2019. Rivals.com also rates Pickens as a five-star recruit, the No. 2 wide receiver, and the No. 7 recruit in the country for 2019. Pickens plays for Hoover High School in Hoover, Alabama and is the top-ranked recruit in Alabama. Clay Webb, who signed with Georgia in December, is the No. 2 recruit in Alabama. Georgia currently has the No. 2 recruiting class in the country for 2019, per 247Sports, Rivals, and ESPN. The Bulldogs trail only Alabama and could pass the Tide for the top spot if they receive a few more big commitments today.